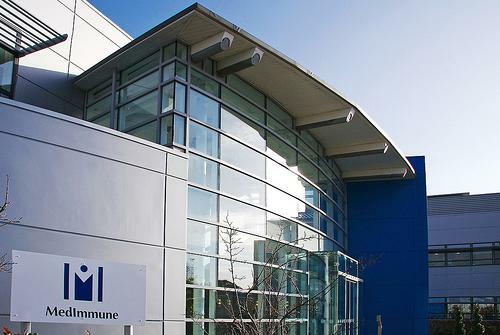 MedImmune, the global biologics R&D arm of AstraZeneca, is to put one of its oncology immunotherapies into development in combination with a similar product from Incyte Corporation. Immunotherapies, which use the body’s immune system to fight tumours, are seen as a major potential step forward in cancer. The Phase I/II oncology study will combine MedImmune’s investigational anti-PD-L1 immune checkpoint inhibitor, MEDI4736, with Incyte’s oral indoleamine dioxygenase-1 (IDO1) inhibitor, INCB24360. MedImmune, whose parent company is currently in the midst of a high profile, hostile £63 billion bid by Pfizer, began a late-stage trial of MEDI4736 in non-small cell lung cancer last week. The human monoclonal antibody blocks signals from the programmed cell death ligand 1 (PD-L1) – signals which help tumours avoid detection by the body’s immune system. The idea of the Incyte tie-up is that MEDI4736 blocks the signals that help tumours avoid detection by the immune system, while INCB24360 enhances the ability of immune cells to combat the tumour. Both companies will put equal cash into the study, which will be carried out by Incyte. The firms believe that pre-clinical evidence suggests the combination “may lead to an enhanced anti-tumour immune response”. Bahija Jallal, executive VP at MedImmune explains: “Immuno-oncology is one of the most exciting areas in our industry and we are progressing our strong pipeline as rapidly as possible. The combination will be looked at – on a non-exclusive basis by the companies – in various solid tumours including NSCLC, metastatic melanoma, squamous cell carcinoma of the head and neck, and pancreatic cancer. In Phase I, researchers will establish a recommended dose, while Phase II will look at the safety and efficacy of the investigational products when used together.